President Donald Trump said Wednesday the U.S. is “in no rush” after talks between his top diplomat and a senior North Korean envoy were postponed, throwing stalled diplomacy over the North’s nuclear weapons into further uncertainty. Neither side has properly explained why the planned talks between Secretary of State Mike Pompeo and Kim Yong Chol, a key aide of the North Korean leader, were postponed. State Department spokesman Robert Palladino described it as “purely a matter of scheduling” but refused to elaborate. 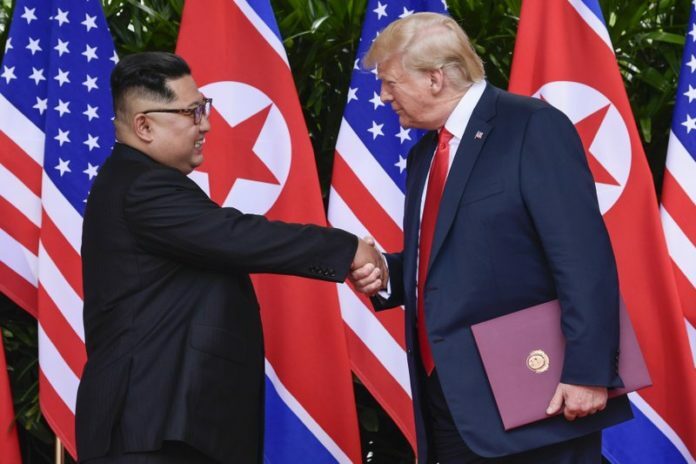 The department said the meeting would take place at an unspecified later date, “when our respective schedules permit.” North Korea’s propaganda services have not mentioned the meeting. I thought he tweeted that we should all sleep well because he solved the problem of NK that no one thought could ever be done. Oh well.